There’s a first time for everything in a person’s life: your first time getting a “like” on Facebook, your first time having someone “comment” on a Facebook post. And for those lucky few, those who have someone “share” something they posted on Facebook. That’s the dream. Last week I repeatedly called Buffalo Bill “Buffalo Bob” in our review as I got Aaron to watch The Silence of the Lambs for the first time in his life, and it lived up to his expectations. This week Aaron takes me out from under the proverbial rock on the 1957 Academy Award Best Picture nominee 12 Angry Men. Aaron Hubbard: 12 Angry Men is a movie that I saw in middle school and always stuck with me, leaving an impression years later. Recently I saw a clip of it that reminded me of what a masterful, minimalist film it was, and wanted to revisit it. This is also why some of the facts were blurry in my mind when I suggested it to Michael last week… but I absolutely thought it was worth the rewatch and wanted Michael to see it. Michael Ornelas: Well you’re definitely right about the “minimalist” part, but the movie still gets maximum effect out of the choices it makes. The acting is great in this, and honestly for older movies, that’s what’s usually hardest for me to buy into (lots of performances are “big” because they’re still used to theatre acting instead of performing in a grounded, realistic manner. But in 12 Angry Men, I bought into every single persona. I loved it. That said, it’s almost sickening how relevant a lot of the prejudices are today. Juror #11 said it best: “I don’t believe I have to be loyal to one side or the other. I’m simply asking questions.” If more people adopted that mindset in every facet of life, be it religion, justice…anything, I think the world would be a much better, more educated place. Aaron: Yeah, the acting is definitely one of the film’s strongest suits. It has an incredibly serious subject matter and nobody takes it lightly. That’s why I call it “minimalist”; it is literally just twelve men having a discussion. But it is the nature of that discussion, all of the confusion and the uncertainty, and the passion that each person has that makes it so worth listening to. And of course, watching; ironically, I think the strongest statement in the movie is one without any words. The moment when everyone turns their backs on Juror #10… it’s really very powerful. And consider… 1957. Damning prejudice in 1957 is a very ballsy thing to do. Michael: Well, to be fair, the prejudice was against another race of “white.” Had it been a defendant of color, I think it would have been a different scene altogether, unfortunately. That said, yes the message is powerful, but it doesn’t speak to the prejudices we still see running rampant in today’s society as a whole. Aaron: Perhaps not where you or I live; you’re in California and from Texas, I’m in Kansas; to us, racism is black and white. But especially in New England, where the vast majority of European immigrants all congregated to, there is still a lot of racism. You are Irish or Italian or Jewish or simply “lower class”, not just “white.” Humans have a nasty tendency to find anything about them that is different and focus on that instead of looking at what makes them the same. Putting the thought into anybody’s head that prejudice, in and of itself, is wrong, is still relevant to today’s world. Michael: That’s a fair assertion. I’m just saying that one would have had a more universal message than what they chose. I still support the movie’s message. Moving on, what sucked me in the most was the presentation of facts and the analysis of their validity. It almost felt like a detective movie if said detective never left the room. I loved that component because it got me to think about the case just as much as the twelve jurors. I felt like a thirteenth man in that room, and that’s rarified air in the repertoire of films I’ve watched in my lifetime. 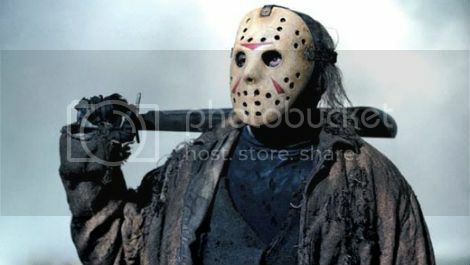 Not this “Thirteenth” man, though. Totally different thing. Aaron: He wouldn’t look nearly as intimidating with a switchblade knife. Not even the badass dragon one that was the murder weapon in this movie. Which again, is part of one of the best “silent” moments in the film. There’s so much talking that what the characters don’t say is arguably even more important. Things like Juror #4 sweating during Henry Fonda’s interrogation… I love the little beats in this movie. The moments that make the audience question if there is reasonable doubt. Michael: Well, fairly quickly into the debate, I felt I had found reasonable doubt. The rest of the movie was just me seeing if they jurors could convince the more stubborn holdouts of this kid’s fate. And it took balls to be on the side of “not guilty” given how outspoken Juror #3 is against any and all that oppose him. Which leads me to his bias that keeps him fighting for a “guilty” verdict until the very end. How did you feel about that? Personally, it pissed me off. Aaron: I have mixed feelings about that. I think it’s easier to judge from the outside perspective. Obviously we shouldn’t let our personal feelings govern a case like this if we are in the situation; but it isn’t unreasonable that somebody should. He has the most personal story there; the boy on trial is the father’s scapegoat for his relationship with his own son. He can’t fix his life, so he’ll tear someone else down. It’s not right, it’s easy to get angry about… but it’s also a very human reaction. So… I was more just happy that he eventually broke down and admitted that his own personal reasons were blinding him. It’s a character arc and a pretty dramatic one and a fitting end to the movie. Michael: The fact that it drew such a big emotional reaction from me isn’t a bad thing, but a good thing. It took me on a ride, and I’m glad the “right” outcome was reached (relative to the story being told in the deliberation process, not necessarily from a legal standpoint, because like you said, we weren’t really in that courtroom). He was certainly the most interesting character, but at the same time, he was my least favorite. Henry Fonda was the best to me, because his viewpoints were in line with mine. The one thing I wasn’t a fan of with this movie, was that it wasn’t very interesting visually. They used the space to the best of their ability, and there were moments where the camera did some brilliant things, but to not feel claustrophobic in a bottle episode (or in this case, bottle movie) is a tough task, and to me, this film didn’t escape that for the whole thing (interestingly enough though, it was during the first act where I felt it. As the film progressed, that feeling went away for me, as tensions rose and I got more and more drawn in). Aaron: I think the claustrophobia helps the atmosphere quite a bit, and not feeling cooped up in this hot, small room with all of these people and all of the weight on their shoulders would have taken away from the film. Michael: So it’s essentially a yoga studio? Aaron:I have a feeling the movie’s titular adjective would be a little different in that setting. But the important thing is that the claustrophobic nature enhanced my viewing experience. Sometimes, I need a movie to make me uncomfortable. When drama can have the same effect as horror, then it is being done very well, I think. Michael: Makes sense. Wanna rate this bad boy? Michael: I’m in the same boat. I can’t call it perfect, but it’s not far off. I think what it’s missing for me is rewatchability. I’ve seen it once now, but I don’t feel like I need to watch it again unless I’m showing it to someone. I don’t know if that’s a fair criterion for a movie’s rating, but it matters to me. Any movie focused on answering one big question suffers from that for me personally (well, most movies, anyways). I mirror your rating. Michael: Oh, I have one more criticism about the movie: the female characters were incredibly forgettable. Aaron: What do you expect with this title? Michael: I don’t know. Amy Schumer? In your opinion, did the jury get the verdict right in 12 Angry Men? What would you have voted? Michael: You picked about men in a jury – men that are on the justice side of the law. I’m going to pick a movie about men on the other side of the law – a police line-up. One crime, shoddy details, five suspects. Who did it? We’ll see. Aaron: Is it usual to know nothing about it? Because that’s all I know. It’s cool to see Clark Gregg in something before he was Phil Coulson though. Michael: He has a very small part. Anyways, whatever you do, do not Google this movie. There’s something very specific about it that is easy to spoil with minimal research. And commenters, please, no spoilers. It’s one of my all-time favorites, and for a long time, it was the best movie I had ever seen (but then I went to film school). Aaron: That’s okay. I once thought The Empire Strikes Back was the pinnacle of filmmaking. Oh wait… I still think that. Stick to your guns Michael! 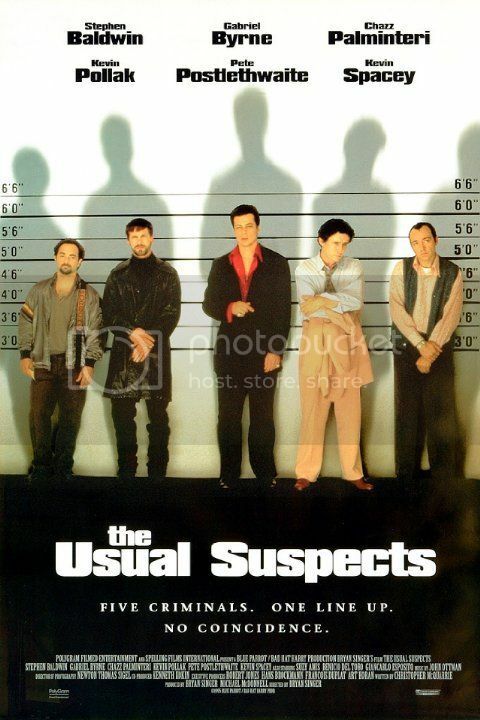 Aside from The Usual Suspects, what other mystery thrillers do you like? 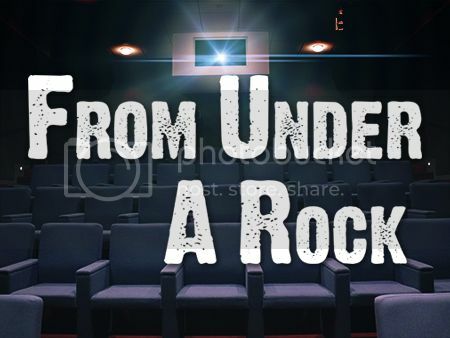 On this week’s edition of the “From Under A Rock” podcast, Steven selects Terminator: The Sarah Connor Chronicles to an audible groan from Michael, James, and Ryan. But was it actually pretty good? Probably! What causes Ryan to leave the podcast altogether?? Listen and find out! And read Michael’s recap of his attending Pro Wrestling Guerrilla’s annual Battle of Los Angeles tournament! 12 Angry Men (1957) is widely considered to be a one of the best and most significant films of all time. Proving that all you need is a strong plot, excellent dialogue, and twelve actors in a room to make a compelling movie, the film feels relevant in today's current climate, and probably always will. It's a movie about seriously questioning serious issues and not accepting things at face value without a closer examination. Passionate, intelligent, emotional and thought-provoking, it is human drama at its purest form.